In Trial Of The Champion you choose three squads of your heroes and fight against other players for fame and rewards. Idle Heroes Strategy Game Guide. 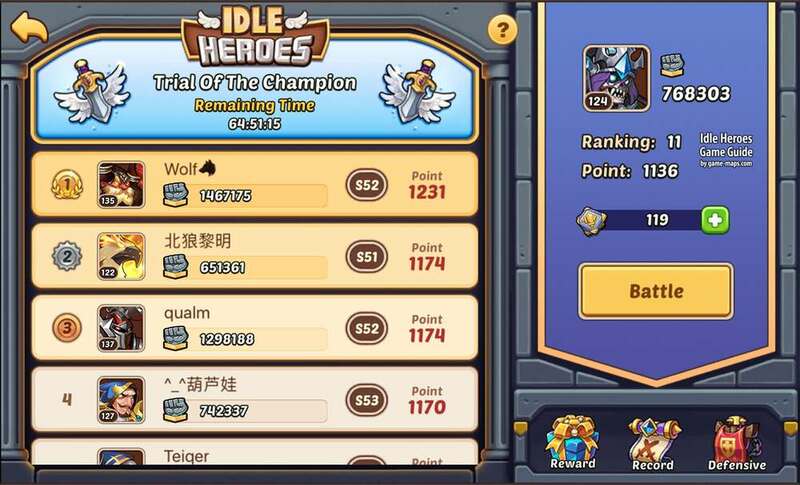 In Trial Of The Champion you choose three squads (full or not) of your heroes and fight against other players. 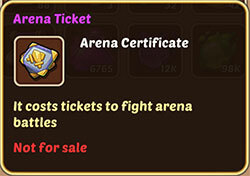 The Trial Of The Champion Arena is available from Level 55. Each battle in this arena cost 2 Arena Tickets. Some people deliberately underestimate the value of one of the three teams, not to frighten potential opponents with their high strength. Just one team with weak heroes. I put my the strongest team in second place in order not to lose first two fights and finish the duel defeated. The second in strength team, I am setting on the third invisible for the opponent position. The first team is my dearest team. 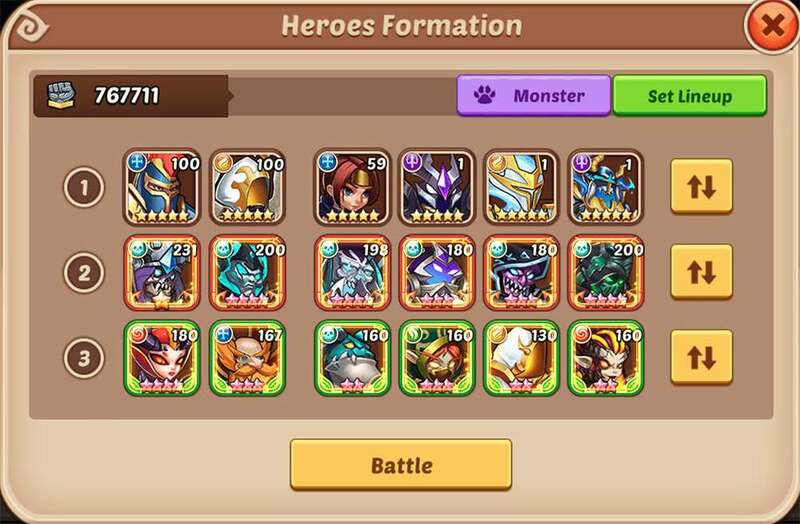 Even if you got stronh heroes its very hard to set up three strong teams. TIP: If you put yours two strongest teams on 1 and 2 place, you will lost with players like me. Becouse you will win first fight, you will lost second becouse of my strongest team, and it will be easy for me to kill your weakest in last fight. Remember to look at oponents setup becouse you can always swap your team to match their setting. The battle takes best-of-three mode. The part who wins 2 games will win 3. Defeating all heroes of a team wins 1 battle. Each arena battle lasts for 15 rounds. When battle exceeds the time limit, the attacker will lose. Players could adjust their 3 defense teams whenever they want. Each formation needs to contain at least 1 hero. Each battle grants certain points that set the ranking. You could check out the most recent 10 battles replays in Battle log. 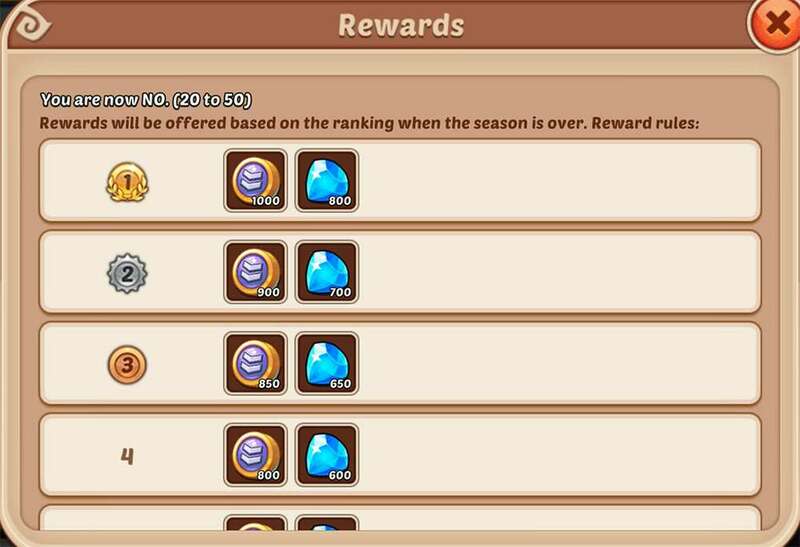 When the event is over, rewards will be offered based on the rankings. Items in Arena Chest you won basing on your ranking, will be sent by in game mail when the tournament is over.